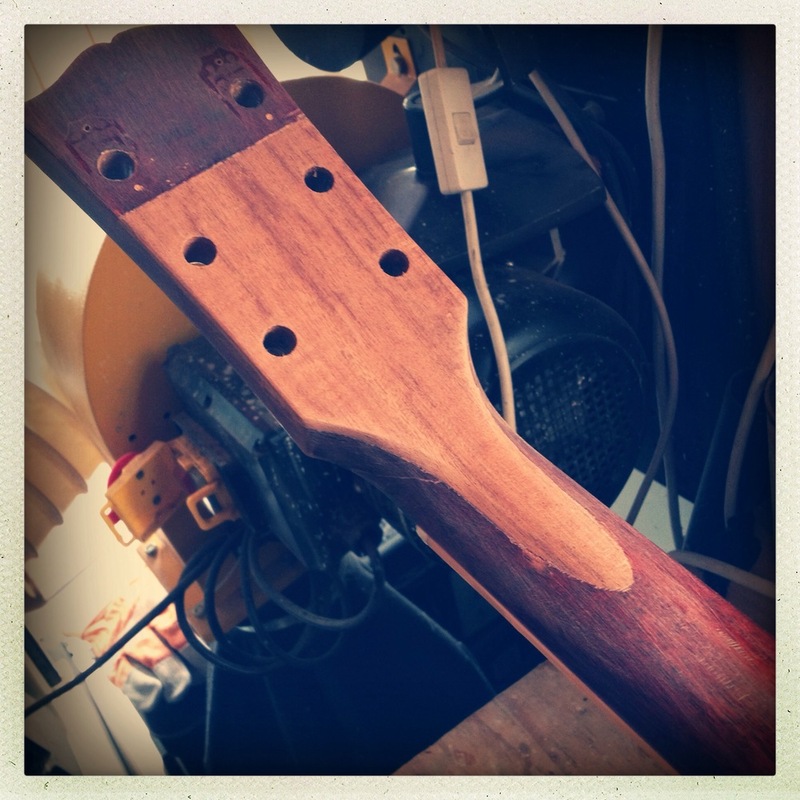 I’ve written a bit about headstock breaks before. I get to see a lot of them. 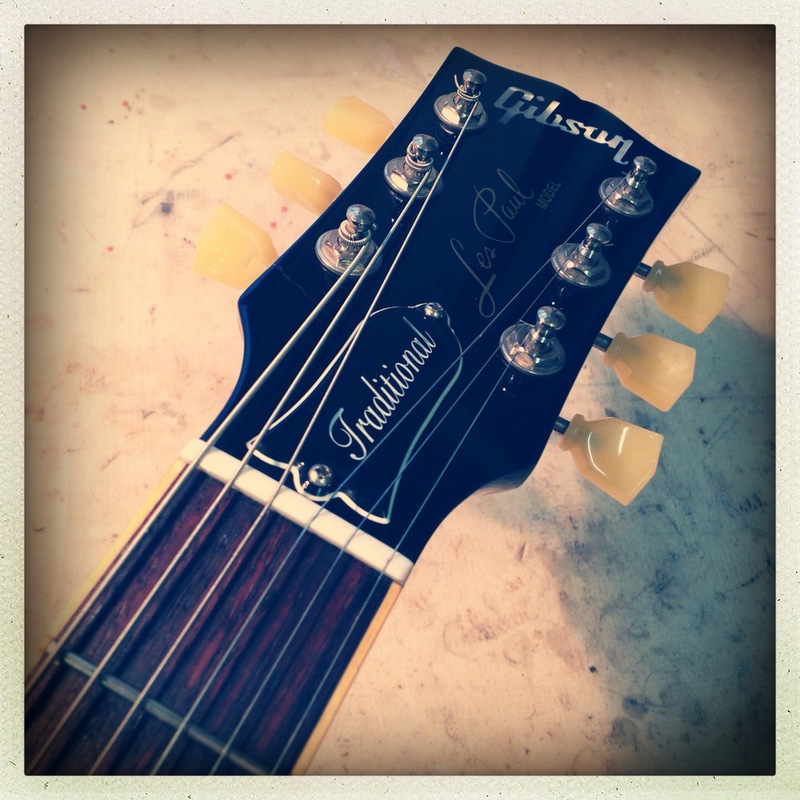 Probably ninety percent tend to fall into a category I call “Gibson-Style Headstock Breaks” and are usually relatively straightforward to repair. The other ten percent can prove a bit more challenging, though. This one’s nasty. 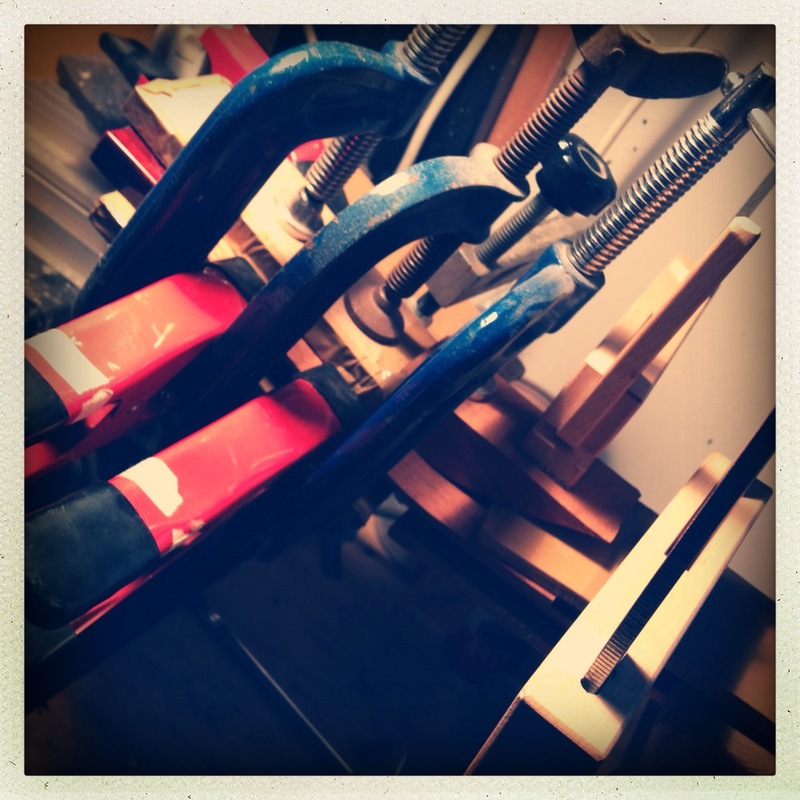 It’s a ‘short’ break meaning there’s not much glueing surface to provide ‘grip’. It's also got some nasty splintering and, while the owner thought to collect some of the loose splinters, most of these won’t jigsaw back cleanly (and there are some missing). If ever a headstock repair needed reinforcement, this is it. 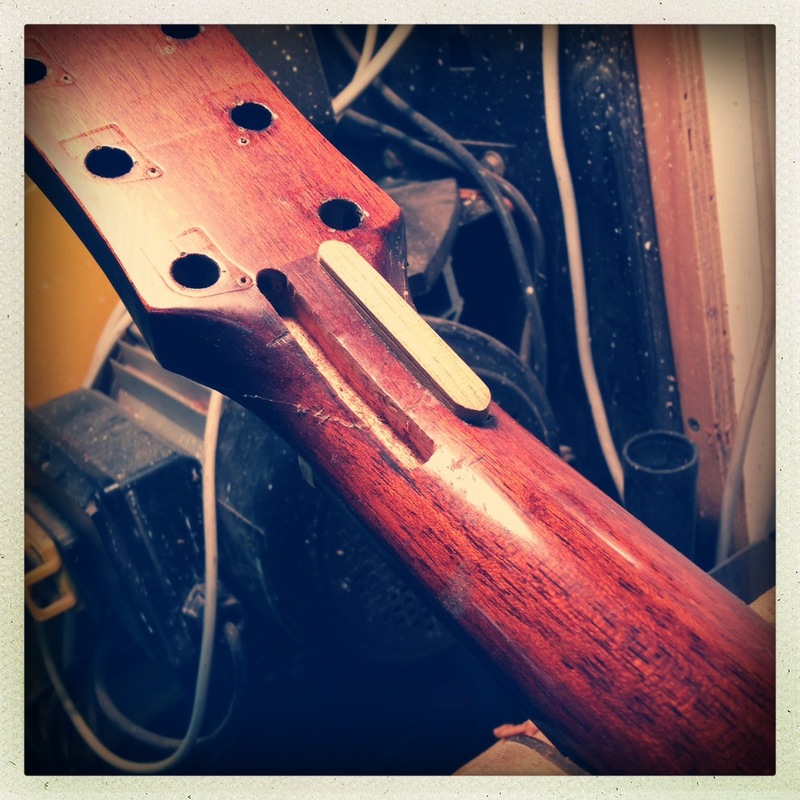 Splining is one option for reinforcement but there’s too much damage here to make that a viable option (and, as an aside, the truss-rod has a pretty big ‘anchor’ that leaves little room either side of it). Nope. We’re going overlay on this one. Again, I’ve written about overlays before (here and here for example). The wrinkle on this repair is that there’s some serious splintering and I want to be as sure as possible. Overlay on the front and the rear. As usual, I have to repair the break first to get the headstock reattached. While this isn’t too much trouble, there’s no way the repair could stand up to string tension without additional reinforcement. The front first. I wanted to keep the maker’s logo intact so I removed some wood for the overlay and ‘feathered’ it towards the end of the headstock. The image above shows the inlaid overlay before the edges were trimmed. You can (probably) see in the side view photo. There’s a ‘fade’ from the existing wood to the overlay I’ve added. I’ve still extended the overlay well past the break so there’s plenty of good wood for it to grip. Now around the back. Again, I remove wood from around the repaired section and into the good wood either side. Then a new piece of wood is inlaid into this ‘lower’ section to bring it back to the height of the original wood. These glued-in overlays provide a lot of strength to the repair. 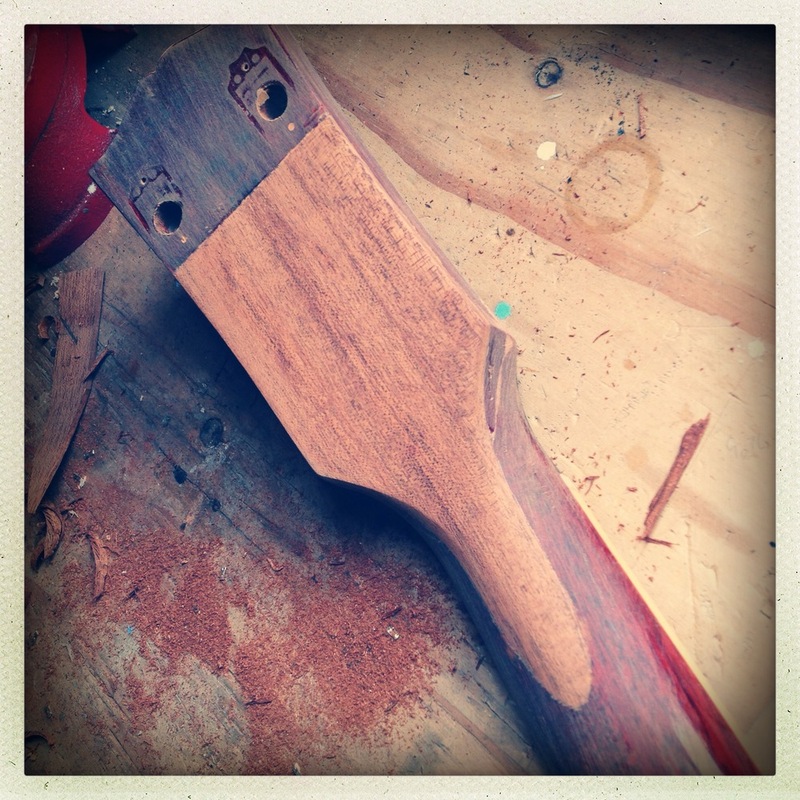 Because the headstock is angled back, I pre-bend the overlay/backstrap before it's inlaid. Some more info on the backstop bending if you want it. Cleaned up around the front and applied some sealer. This lets you get a better look at the feathered edge of the overlay—the transition between new and existing. Now we’ve got some colour and lacquer applied. Everything’s nice and tidy and, as you can see, it’s strung-up and holding. Great. And around the back, it's looking ok too. Around the back and the clear finish means we can’t have an invisible repair but it’s pretty discreet. Not too shabby, I reckon.